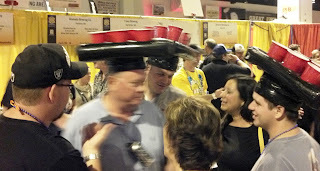 Well, I survived night one of the GABF. I sort of followed my plan. I got to the convention center right as they were opening the doors at 5:30. I had my glass by 5:35. That members' only line is so wonderful. Unfortunately, the rest of the weekend I have to go through the long line. Dave of Fermentedly Challenged suggested arriving half an hour late so that there is no line. My wife and I might try that tonight. I headed straight to O14, Russian River's booth. I was hoping that they would have Blind Pig and I would have been really happy to get Pliny the Younger. Unfortunately, they did not bring either of those beers, and since my policy is to stay away from the huge lines, I decided not to get any Russian River beer. 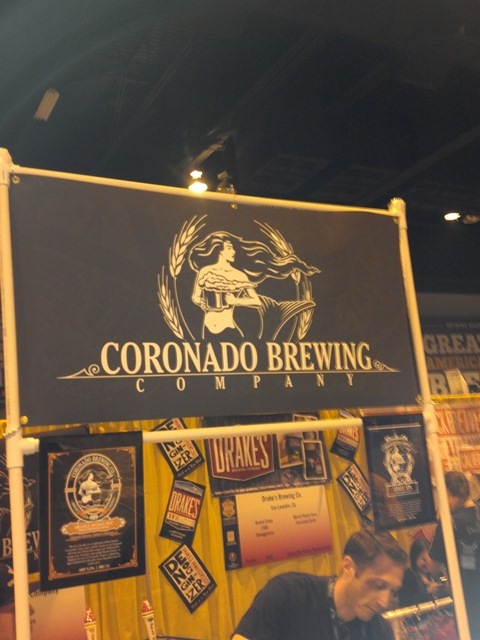 The very first booth I visited was Coronado Brewing from San Diego. The were pouring Idiot IPA and Orange Avenue Wit. 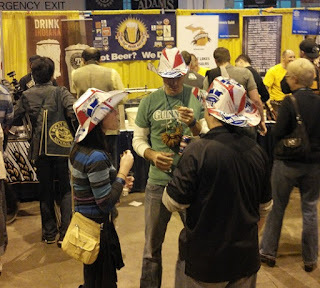 They also had a brewer there to talk to. Both beers were delicious. I went to Alaskan Brewing company and tried their Birch Bock and their 2011 Smoked Porter. I really liked the bock. It was nice and rich with that bock sweetness, finished by a dry woodiness which helped balance it out. Their smoked porter is still the best smoked beer I have ever had (not that I drink a lot of those). At this point, I sent a text to Anne Fitten Glen aka "Brewgasm". We had corresponded a little over the past week, and I had told her that I wanted to get a Brewgasm tee-shirt for my wife. 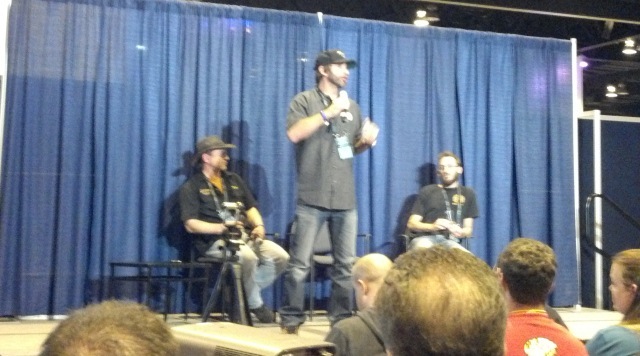 Hopefully, I will get pictures of the SheppyBrew Beer Model in the shirt tonight or tomorrow. While waiting for Anne Fitten at the NC brewers guild table, I tried some beers from Florida, North Carolina, Texas and a few other state brewery guilds. I actually wrote down the names of some of them, but I cannot find my piece of scrap paper this morning. The only beer that specifically jumped out at me was a sweet potato beer from North Carolina. I don't remember the name of the beer or the brewery, but I thought it was awesome. I think I might brew sweet potato beer rather than pumpkin. I also tried Anchor's Small Beer while waiting. I thought it was awesome as well. After getting the shirt and talking to Anne Fitten for a bit, I headed over to Dragoon Brewing Company. 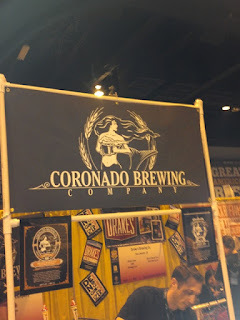 Unfortunately, my buddy Eric was not there, but I tried all there beers. I liked them all. I guess I'll have to go back tonight to see if I can talk to Eric. I tried a few more beers including Tart Lychee from New Belgium (awesome) and barrel aged ESB from Breckenridge Brewery (very good, but not something I would drink lots of). Eventually it was time for the sausage and beer pairing at the Beer & Food Pavilion. This was extremely interesting and I wish I knew where my notes are so I could tell you more about it. 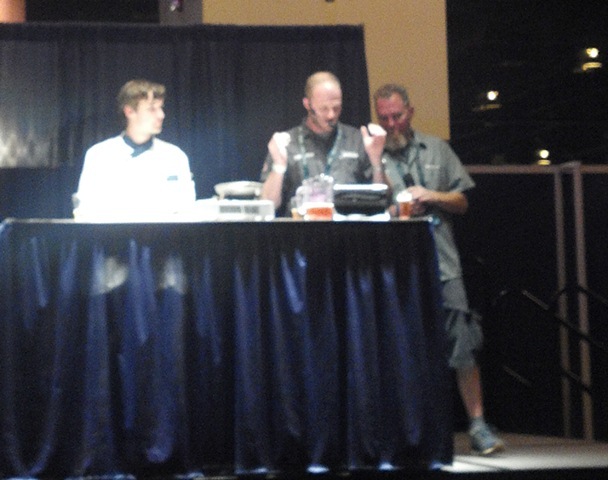 Pete Crowley (brewer) & Christopher McCoy (chef) of Haymarket Pub & Brewery talked about making sausage and beer and how they work together so that the sausage recipes compliment the beer and the beer compliments the sausages. Both the beer and sausages were very good. It was also a fun presentation. 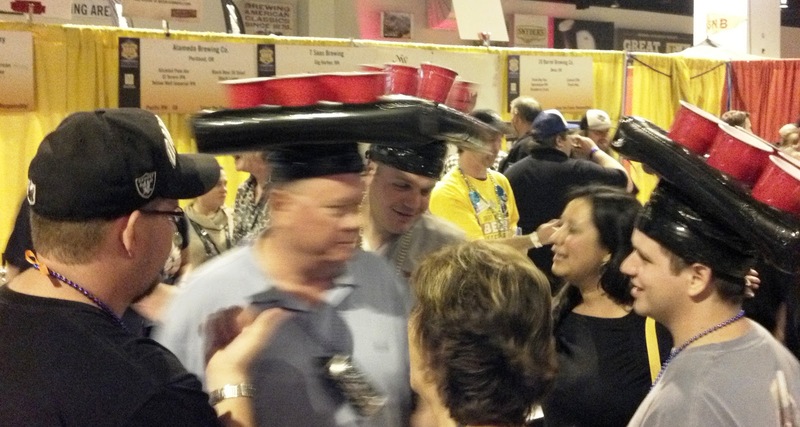 I headed over to the pro-am booth and tried some beers. They were all good, but nothing really jumped out at me. 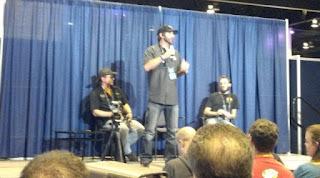 Then, at 7:30, I attended "Bringing the Local Brewery Back" at the Brewer Studio Pavilion. Again, I wish I could find my notes. Three small local brewers (Copper Kettle Brewing, Hogshead Brewery and Strange Brewing Co) talked about their business and getting started in the Denver area. All three made the point that without the beer-friendly Colorado laws, they never would have been able to make it work. One of them made the point that he gets visits from people from other states studying how to get started and usually they say they need to move to Colorado because it would be easier to do that than change the laws in their state. I wandered around after that. Tried beers. Checked out some of the weird costumes. At 8:30, I attended the 2011 GABF Gold Medal Winner Tasting" at the Brewer Studio Pavilion. 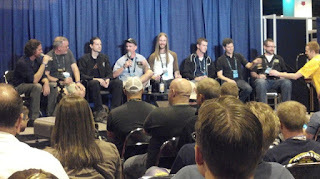 I got to try some of the winning beers from last year and listen to the brewers talk about them. Great beers and fascinating conversation. Then, I pretty much wound down for the evening. Other than Dragoon and the pro-am, I never made it to any of my "planned" booths, so those are still on my to-do list. Sun King Brewing Company E35. So, there you go. That was my Thursday night. If I find my scrape piece of paper with notes on it, I might share some more interesting tid-bits with you. Stay tuned for the Friday night blog post too! Go Bears! Found my notes and @BryanDRoth also helped me out (thanks, Man). The sweet potato beer was "Carver" from Full Stream in North Carolina. Great beer. Oh ... and now that I found my notes ... the best beer I had last night was Copper Kettle's Chocolate Mexican Stout. Nice level of chocolate with a touch of chili peppers. They also use a touch of cinnamon. I haven't posted on the Mr Beer site in months. I look in from time to time. 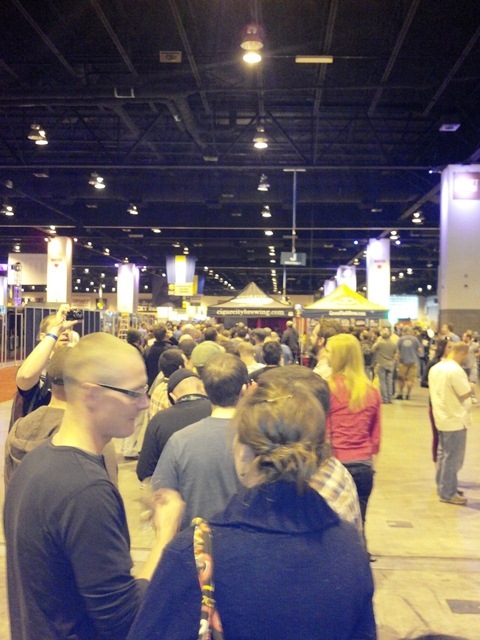 I appreciate you posting on the GABF for those of us unable to travel. Say hey to Eric for me if possible. Hey Sham. Thanks for leaving a comment. I'll be sure to say hello to Eric for everyone if I ever actually see him. Good stuff Shep... Looking forward to your next update! Gonna look up that Sweet Potato beer from Full Stream too! Sounds great!